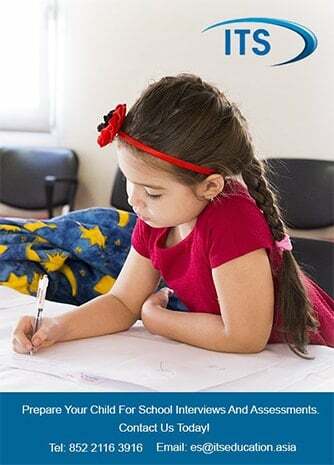 My wife and I moved to Hong Kong in 2001 from our native Australia when she accepted a job as a native English teacher at a local school here. What started out as a short-term contract soon became a more permanent affair. 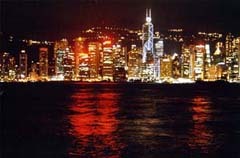 In 2007 we become Hong Kong permanent residents and we now own businesses and property in the city. We decided to write down some of our thoughts on why we love Hong Kong. I’m sure once you’ve read this, you will see that the “livability” factor in Hong Kong is extremely high. It’s a great place. Harbour view, sea peeps, green view, open view – all these terms might be real estate jargon but in fact views are common in Hong Kong. When you look up at all the skyscrapers and high rise buildings, you might think that most people have a view of the neighbour’s wall or possibly their sitting room but actually a lot of people have views. Whether it’s the million dollar view of the harbour, or a cityscape of twinkling lights at night, the views from buildings in Hong Kong are often amazing. The traffic on the roads might look a bit daunting but if you want to get across the streets, chances are there’s a pedestrian-friendly way to do it. Hong Kong is a city of pedestrian subways and sky bridges, helping its large number of pedestrians to cross the traffic-filled roads in safety and comfort. The subways are wide, clean and well-lit and the sky bridges give you a bird’s eye view of all that traffic down below. Hong Kong feels like it is in the tropics for 9 months of the year and the arctic for the other 3. On the whole, with the exceptions of red or black rain warnings or the occasional typhoon, most Hong Kong storms are quite tame. But, when mother nature lets rip, she does it with a bang. The sound of the torrential rain, the mini rivers cascading down the slopes, the dead umbrellas sticking out of rubbish bins. What a treat! Rainstorms in Hong Kong also mean we all get a holiday. Coming from Australia, I grew up with a yard. 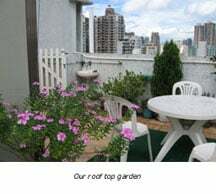 In Hong Kong those of us lucky enough to have a roof or balcony really are privileged. These spaces are the dream of estate agents, the prosperous and poor alike. These rare open spaces are worth the price one must pay. The ability to have a BBQ outdoors in this city is almost priceless. Or as some do, they give you a chance to dry your washing somewhere else than the middle of your tiny flat. Hong Kong is truly a city that never gets dark. There is so much ambient light in Hong Kong you can read a book at 2 o’clock in the morning on your roof without the need for your own light. The city’s lights are spectacular. Many buildings seem to have been designed with the purpose of entertaining the residents and tourists alike. Hong Kong at night is breathtaking. In Australia we call these spaces cupboards. Here they are referred to as spacious 3 bedroom apartments. Climbing into one’s bed from the doorway is a common occurrence for Hong Kongers. Floor space includes the calculation of your share of the lift and the lobby, even the mail-box! The average Hong Kong home measures only 450 square feet. IKEA was made for Hong Kong as multi purpose furniture is a must. Open spaces in Hong Kong tend to be concrete although they do at least paint them green. 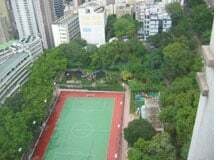 Watch the future star Hong Kong athletes playing football on large concrete pitches and it’s not hard to see why the goal keeper doesn’t dive for the ball very much. Any grass you do see normally has “no walking or playing” signs on it so as not to damage it! The level of enjoyment and amount of use these concrete pitches get though, and the smiles on the faces of those using them, is wonderful to behold. In Hong Kong owning a dog is a status symbol. Owing a big dog more so. Hong Kongers love dogs. These dogs live in the 450 square foot apartments with their owners as a member of the family. It is always quite a surprise to see how many dogs live here. Hong Kong people are extremely clean though, you will almost never see doggie do left behind on the street. Owning a dog also opens up a whole new line in consumer possibilities. Check out the dog “fashions”, especially when the weather starts to cool down and any self-respecting dog wouldn’t be seen out without its coat! Pure genius. These balls are an awesome snack. They will give a hotdog or hamburger a run for their money any day. They are for sale everywhere. No one seems to ever know exactly what type of fish is in them. But nobody cares. for four of these balls on a stick. Some of the sauces you can get with these are truly …….incredible. This city is probably one of the safest in the world. Violent crime against people on the street happens so rarely that it makes front pages news for days if it does occur. I have never seen a fight in a bar here. There are security guards everywhere. These people are often very old. Still they are the city’s unsung heroes. These guards, present in almost every commercial or residential building, are an effective, non aggressive form of crime deterrent. Their role in Hong Kongers’ sense of security is great. On the whole these people are also extremely friendly. No need for a “reclaim the night” movement here – Hong Kong is safe enough for anyone to move around in, at all times of the day and night, with no need to worry about personal safety. In the words of Douglas Adams “It’s no coincidence that in no known language does the phrase ‘As pretty as an airport’ appear”. Hong Kong airport is about as close as it comes. In-town check in service, a fast, clean and convenient express train, mini TV screens, onboard uniformed baggage carriers, seasonal cool architecture, thumb print scanning immigration counters, almost unlimited places to eat and shop. Hong Kong airport rocks. It is efficient, clean and very user friendly. I travel a lot and no other airport even gets close. If you are sick in Hong Kong with a stomach problem, what does the doctor recommend you eat? Congee… This dish, which in some ways resembles porridge is actually made of rice, salt and various garnishes such as shredded pork, ginger chicken, preserved eggs! You will find people eating this dish while smoking cigarettes and speaking at a decibel below a scream all over Hong Kong. Yum!! 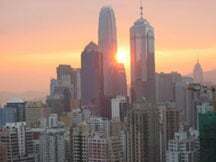 Hong Kong’s tourism growth focus is mainland China. And it is working… more than 500,000 mainland Chinese tourists crossed the border into Hong Kong over the last Lunar New Year alone. That means over ½ a million tourists descending on Hong Kong’s retail stores, armed to the teeth with money. These people do not march behind the Chinese national flag, but the tiny brightly coloured flag of a tour guide, carefully shepherding the little flock to the next mall or outlet. 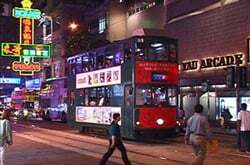 Watch out for the Mainland tour groups touring Lan Kwai Fong too – not for a drink but to photograph its largely foreign clientele relaxing with a beer! This is probably the single biggest positive step in public transport since the steam engine. One card that you can use to pay for all your public transport with. Hong Kong might be the land of crowds and queues but there is never the need to queue for public transport tickets. The octopus card tentacles are everywhere now. You can buy a Big Mac at McDonald’s or a beer from a 7-11 with this card. This is truly a Hong Kong technological breakthrough. Hong Kong is a city of energy. The people here do not complain - they DO. Even during SARS, when nightly news stories seemed to brand Hong Kong as a place suffering a modern-day plague, the Hong Kong people just went about dealing with the issues: Not complaining, not avoiding - just doing. The city moves at a million miles per hour. The energy is infectious. People work long hours in Hong Kong but that’s what people here expect. One of the few parks in Hong Kong. It’s a great place. On Sundays you would be forgiven if you actually thought you were in Indonesia. Sunday is typically the day off for the city’s large population of (mostly) Indonesian and Filipina domestic helpers. Victoria park is one of a number of popular meeting places for them. Victoria Park is also the starting point for most protest marches in Hong Kong. It’s the site of the biggest New Year’s flower market and it hosts all manner of community and public events throughout the year. And a statue of Queen Victoria herself presides over all of it. Hong Kongers love to march. Anything to be part of a crowd. No one wants to miss out. People here are also very conscious of their rights. Any attempt by the government to take away a perceived right brings Hong Kongers onto the streets in their tens of thousands. Hong Kong is a city where you can have a march of 500,000 people and not a single arrest. Non violent protest is the way in Hong Kong. Marches and protests here are colorful fun and theatrical. These superb convenience stores are everywhere. At last count there were more than six hundred 7-11s in Hong Kong and if you do not visit an area for a while, do not be surprised if, when you return, a new 7-11 has opened up. In Hong Kong these stores also sell cheap alcohol. You are never more than a block away from a cold beer or ice cream. The Lunar New Year Flower Market at Victoria Park has to be seen to be believed. It is an explosion of colour and smells. When going there, one could be forgiven if they thought that the rest of Hong Kong was empty. This is a popular family event to come to and pick which flowers to buy. Chrysanthemums, peonies, peach blossom, kumquat trees, lilies, bamboo twirls are all competing for space in these stalls. The only thing more full than the stalls are the aisles. This is an experience that must be tried to be understood. Ahh - civilization. Q. When are you free to shop? A. After work. The shops in Hong Kong open late and stay open later. Do not go shopping at ten in the morning as most shops are shut then. But at ten at night, there’s no problem whatsoever. The rest of the world could learn that one of the reasons why Hong Kong is a shoppers’ paradise is because the shops STAY OPEN. In this city, mobile phones work everywhere. 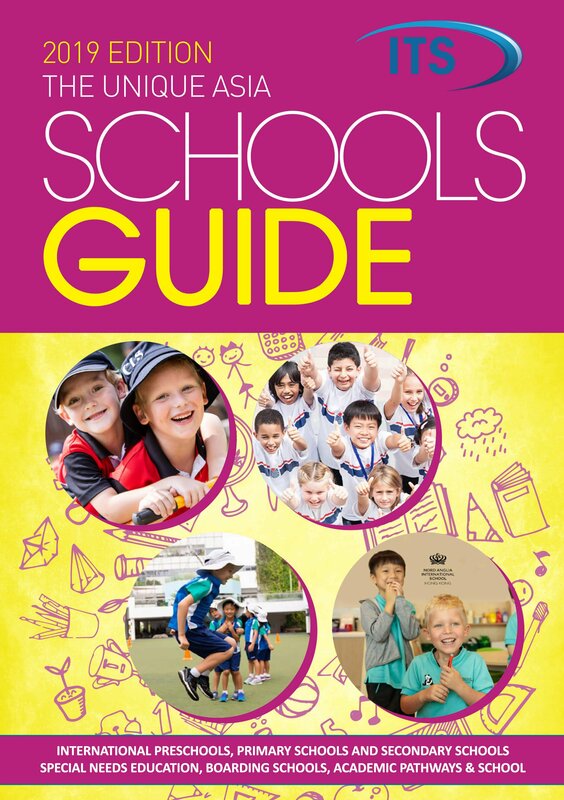 There is no dropping out simply because you walk into a car park or go through a tunnel. If you are going to have a mobile phone, it’s a pleasure to have one that always works. You never see the 'no carrier' signal in Hong Kong. 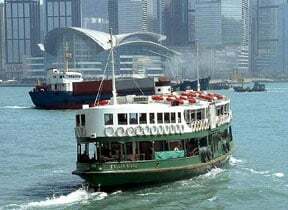 The Star Ferry, Jet Foils, Tri Cats, Sampans, Junks and so many more, Hong Kong is a harbor city and water transport is everywhere. Traveling on the harbor in Hong Kong is fantastic, especially at night. The views, the lights. – they are truly magnificent. The most amazing thing is the Star Ferry ride costs $1.20 Hong Kong, about US 30 cents. 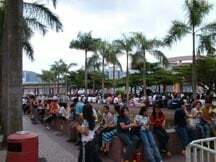 This is the best value tourist event in Hong Kong. If you know the route you can get almost anywhere in Hong Kong’s Central Business district via the inter connected system of walkways. Most of these are even air-conditioned. This is great - no rain, no heat and no smog and a lot less pedestrian traffic than there would be at street level. This city is so, so easy to get around. In a place where space is certainly at a premium, these small-business men and women are incredible. Tucked away in tiny nooks and crannies, in little structures, often smaller than the average garden shed, businesses are carrying on, selling goods, providing services. Just round the corner from our flat there’s a whole strip of little shanties, selling electrical wires and fittings, sewing accessories, even newspapers. And then there are the mobile vendors – often not strictly legal – who appear with a laden cart, which is spirited away at the first sign that there might be an inspector or a police officer nearby. What a way to make a living. Over 100 hundred years without an accident so the story goes. The gradients on the tram tracks have to be experienced to be believed. 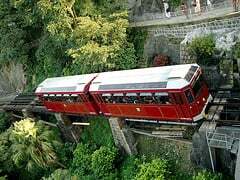 And to think the alternative – the number 15 bus- can be stuck in Wan Chai traffic for ages while on the tram you can go from the city to the Peak in a few minutes. But spare a thought for the days when the trip used to be by sedan chair! Shopping malls are not just places for shopping in Hong Kong, although it is true that plenty of that goes on in malls too. Malls are somehow part of the community. As well as often housing cinemas, shopping malls also may have sporting facilities – a least two have ice rinks! There are of course restaurants and cafes, carnival rides, pianists playing baby grand pianos, string quartets, there’s even a university attached to a shopping mall! One of the best value rides in Hong Kong – costing a total of $2. The trams trundle along Hong Kong Island, from Western district, all the way to North Point. It’s not a fast ride, but it’s cheap and atmospheric. Sitting up top, at the front as the tram jolts along is truly an experience. Amazingly, the trams used to run along the waterfront. No, the tramlines haven’t been moved, that’s reclamation that’s separating the tram from the sea now! First time visitors to Hong Kong expect a concrete jungle, perhaps a cross between downtown Manhattan and downtown Tokyo. And there’s no denying that there is that aspect to Hong Kong. But there are also the hills and the open spaces. Hong Kong is about 70% open spaces and a lot of that area is country park. Hong Kong people love the country parks, with their hiking paths, barbecue pits, “fresh” air. And you can take a bus to most of them, and buy the supplies you need for your barbecue when you get there. Or go on a hike. This might not be bush-bashing, as an Australian would say, but it’s pleasant, open space, which is not crowded and very peaceful. These red, white and blue bags are everywhere. If these bags were ever to disappear from Hong Kong a great loss would be suffered by all. In many ways they are reminiscent of Dr Who’s TARDIS. They are definitely much bigger on the inside then the out. The sight of old ladies struggling up the side of Hong Kong’s steep hills with these multi purpose, super duper strong carry all bags in the small arms is an everyday occurrence here. But always a marvel. Hong Kong has the most unique smells. There is a particular smell in districts such as Wan Chai and Causeway Bay. It is not the smoky coc=nut smell of Bangkok with the underlying smell of sewers, nor that polluted and slightly sweet smell of Shanghai. But it is distinct and instantly recognizable. 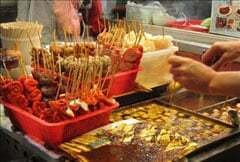 It consists of a combination of fish balls and char siu (barbecued pork), exhaust fumes, cigarette smoke and perfume. It’s the stink of my adopted home and it is really great. Hong Kong people love cute, kitsch soft toys. From Disney favourites to that well-known cat with no mouth, young and old alike seem to have a soft spot for these cuddly toys. People hang them from their bags, even from their mobile phones. People queue outside fast food restaurants to collect different ones on offer and you often see whole armies of them being transported around on dashboards! 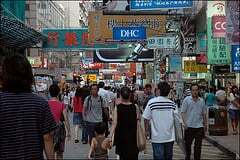 Markets can be categorized into two main types in Hong Kong – goods markets and wet markets. There are markets selling all manner of goods – cheap clothes, handbags, watches, fake designer wear, souvenirs. 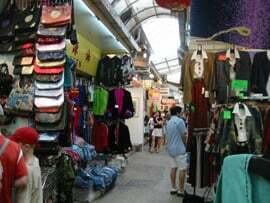 Stanley Market on Hong Kong’s South side is a must-see on the tourist trail, certainly for foreigners visiting Hong Kong. Temple Street night market has a wonderful atmosphere and the locals will happily tell you about the bargains to be had at Ladies’ market in Mong Kok. Wet markets sell food and be warned, they are wet. Locals still do have a preference for food which is ‘fresh’ (read “live”) when purchased so poultry and fish are found in these markets. There’s also lots of fruit and vegetables, some of which you won’t even be able to identify. As many Australians do, I like a beer. But unfortunately in Australia nowadays, alcohol is controlled very strictly by a series of laws making it quite difficult to enjoy yourself. Of course there’s a history behind these laws – drink driving, underage drinking, over-exuberance at sporting events – but Hong Kong is different. Beer is available almost anywhere. Supermarkets and 7-11s sell it at any time of the day or night. You can buy it at Ocean Park, it’s available at big and crowded events, it’s even available at little take-away sandwich bars. One of the reasons for its easy availability is that alcohol has not caused the problems here that it has in other places. But it certainly makes me happy to know I can get a drink. In other countries, it always seems much more difficult to access sporting and cultural events. Here in Hong Kong, there’s an excellent world-class Literary festival, a top-notch Arts festival, the Rugby Sevens, singers, concerts and theatre. International tennis stars and football players grace the city. There’s even the odd international-class art exhibition. Anyone who thinks living in an Asian city means turning your back on familiar cultural activities or sporting events is wrong. There’s also a great symphony orchestra and for those of you more interested in Asian art forms, the choice is endless. You can find them everywhere and not just during the rainy season. Hong Kong people aren’t that keen to have the sun on them so umbrellas are just as often used as a sunshade. Folding umbrellas might be handy for popping in your bag in case of a shower or to protect from the sun, but during the rainy season, when there’s often strong winds as well, proper, long, heavy-duty brollies are what you need. Funniest umbrella sight? A middle-aged Chinese woman, jogging slowly around the local park, being trailed by a domestic helper carefully shading her boss from the sun with an umbrella. China was pretty pleased to get Hong Kong “back” in 1997 – so pleased in fact that Hong Kong was presented with two pandas. 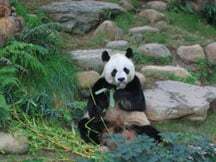 There may be pandas in other locations in the world but these places have got them through complicated agreements and negotiations with the Chinese authorities. Not so Hong Kong. The two pandas resident in Ocean Park are much loved, and if you visit in the height of a sweltering summer day when the pandas are relaxing in a cool 17 degrees Celsius, you know they must be revered. Imagine the air-conditioning bill they must generate! Now that truly is love. Another example of the brilliant use of a limited commodity – space! Basements in Hong Kong often house supermarkets or bars. You tentatively head down those rickety or steep stairs but at the bottom, you find yourself in bright, open, welcoming space. In many places, transportation is some form of vehicle – a van, a pickup truck or a station wagon. But cars are relatively uncommon in Hong Kong. The guy who delivers the gas cylinder to our place for the barbecue, cycles over with it – up a fairly hefty hill at that. People, often pretty elderly ones, collect cardboard and newspapers and push these around in handcarts. It’s not uncommon to see dead and plucked chickens being cycled down the middle of the main street in town, being delivered to a market or a restaurant. Hong Kong people certainly approach the issue of carrying goods in an innovative (and much more environmentally friendly) way. Apparently the literal translation of ‘dim sum’ is “touch the heart”. These tiny morsels of food do indeed endear themselves to you. Everyone’s got their own favourites – delicate prawn dumplings, spring rolls, turnip and taro cake – the range of dim sum available is vast. One of the drawbacks of eating dim sum is that dim sum restaurants are often huge, incredibly noisy places – all part of the experience though! Hong Kong sure knows how to celebrate – Chinese New Year, Hong Kong Establishment Day and Chinese National Day are all occasions for fireworks. Barges in the harbour are used as a platform and crowds line the harbour on both sides to witness the spectacular display. The fireworks are always breath-taking and the pictures in the paper the next day are amazing too. Of course, since the opening of Hong Kong Disney, it’s possible to experience fireworks out at the theme park every night of the week. Hong Kong has great public library facilities with an excellent range of English books (probably the collection of Chinese books is even better but I’m in no position to judge). And the libraries are pretty well used. Public libraries are dotted around the city. They have study rooms for students, they’re open 7 days a week, even quite late in the evening and the catalogue is searchable online. You can even reserve books and renew them on the internet. It’s an excellent public service. Hong Kong is a place of long working hours and long commutes. It is very common to see slumbering passengers on buses and trains, and colleagues catching up on their sleep with a lunch time nap on their desks. But I think this says something about the safety of the city – people dream away their commuting time, knowing they are quite safe sleeping on public transport. Probably better not to let the boss catch you though. In this city of huge concrete buildings reaching into the sky, it is amazing to watch them being built with the use of bamboo scaffolding. 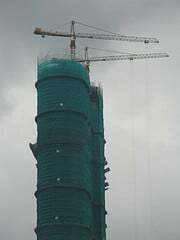 Bamboo and shade cloth netting shrouds construction sites and renovation sites. Buildings undergoing maintenance also have bamboo poles fixed to the outside, way up in the air. We once had plumbing work on our flat and a pile of bamboo arrived and was fixed around the outside of the place – but we were only on the 9th floor. And to watch the speedy way the scaffolding goes up or is taken down is incredible. It must be said that the scaffolding does occasionally tumble down in typhoon-strength winds, but accidents are extremely rare. The Basic Law acts as both Hong Kong’s constitution and its Bill of Rights. This place might not be a democracy but the people are very keen on the Basic Law and the entitlements it does embody. There was recently a government competition encouraging the putting of sections of the Basic Law to music – like song lyrics. Only in Hong Kong….! Often, when inviting others to eat with you, in Chinese, you ask them to “drink tea”. Tea is an important part of this society. And, while it’s usually Chinese tea, it doesn’t have to be. Iced Lemon tea is such a favourite among Hong Kong people that it’s available in bottles and boxes for easy and convenient consumption. The first time I went to a Chinese restaurant with colleagues I was shocked to see them pouring tea over all the dishes to sterilise them. I don’t imagine there’s anyone in the city who knows just how many types of tea there are – probably most of them available in Hong Kong! 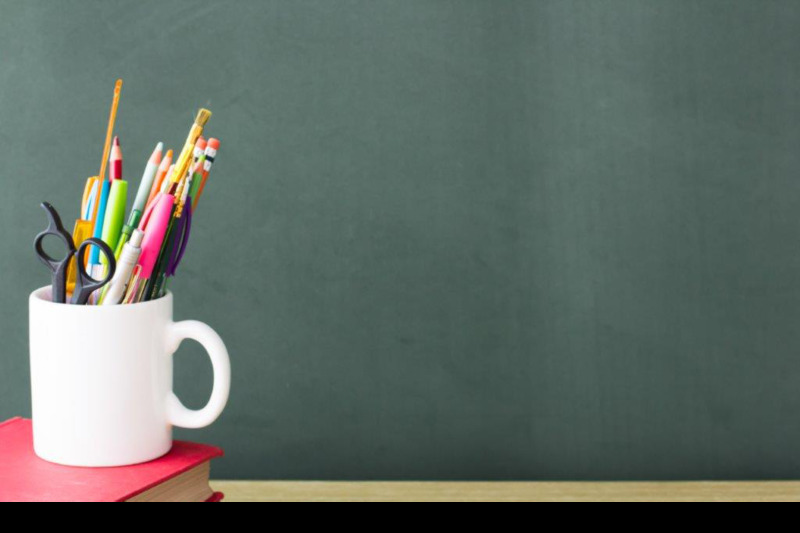 When ordering “English” tea it’s necessary to also specify the temperature you want it – “milk tea” as the locals call it can be served hot or cold, not automatically hot, as it would be in most parts of the world. Still somewhat unsure of its status, Hong Kong carefully observes most of the major festivals – both Chinese and Western. Hong Kong has embraced festivals such as Halloween and Valentine’s day, although Easter is a bit less popular. Hong Kong’s theme parks run special Halloween events (for a month!) and Valentine’s day offers bombard the place for a good couple of weeks. 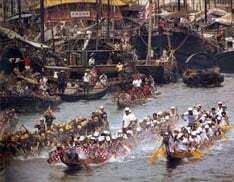 On top of this, there are the Chinese festivals, such as the Dragon boat racing day and the mid-Autumn festival. Christmas and Chinese New Year are huge – Hong Kong people feel Christmas is a particularly “romantic” festival – I must confess to having never thought of Christmas in that light till I came here. In truth, I think Hong Kongers like Western festivals which demand little of them except the “fun” aspect. And Chinese traditions command respect. Most Hong Kong people don’t have an oven – let’s face it, quite a lot of them barely have a kitchen – so there are shops, market stalls and supermarket counters which sell roast meat. The meat is usually pork or duck (with head and beak still attached) but also sometimes chicken. It’s the best tasting fast food around. I’ve seen vans stacked high with the glistening bodies of whole roasted pigs, which are then hoisted onto a shoulder and delivered to a stall early in the morning. And the guy behind the counter with the cleaver can chop a duck or a slab of pork quicker than you can say “char siu”. In Hong Kong, the free gift or the special offer is often as important as the product itself. People sign up for new credit cards or longer cable TV contracts on the basis of the gift or “deal” or discount being offered. Quite often, at the supermarket checkout, the cashier packs something unknown into the shopping bag, saying ”for free” – I find myself wondering what I’d bought to qualify for the gift and I marvel at being given it even though I didn’t have a clue it was coming. Stores with sales often have a cash coupon deal, and once we got three small kitchen appliances with three office coolers we bought. This final one is my favorite so I have added it as a 51st. What’s a place without its people? It’s true that the essence of Hong Kong can be found by talking to my friends, acquaintances, colleagues, neighbours and clients. Hong Kong people are truly remarkable. And they’ve usually spent their lives in this bustling, vibrant city. There’s always something I can learn from them and they certainly make me smile.